This is a very special training that came to Earth in 2015. It is for those, who feel at home in the crystalline creation levels, in the crystal worlds, and who want to work with and share this light on Earth. During the training, you receive initiations into the crystal worlds through your seven chakras. This connects you with the knowledge of the crystal worlds from the past, present and future. It brings a much stronger energy presence into yourself and into your life. This creates the foundation to open the access to the crystal levels in the 8th chakra. 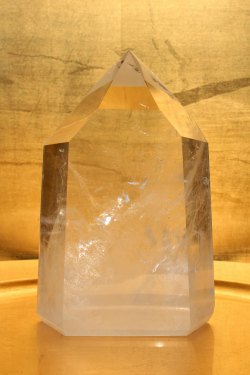 These include communication with crystals, higher insight levels and energetic Feng Shui with the crystalline levels. Furthermore, you receive access to the liquid crystal levels. These come from the new dimensions of Christ Light, which haven’t reached Earth before. They are a vital part in the creation of the Golden Age. They bring new ways of healing and manifesting light on Earth. Access into this level comes only through a new initiation within the 8th chakra. Each participant finds their own unique way to bring the liquid crystal light to Earth and to create a new method / application with it. Atlantis Crystal Healers and Alpha Chi Consultants are warmly invited to take part in this training at half the price. The initiations during the training bring a crystal-clear presence into all your chakras incl. the 8th chakra and give you access to the liquid crystal levels. All this allows you to bring new healing and light to Earth. What Can you Do After Finishing the Course?